Dr. Kate Brayman performs periodontal surgery when gum disease has spread to encompass teeth and the underlying bone that anchors them. Contact her practice, Kate Brayman DDS, in New York City, to schedule an appointment. She can treat gum disease before it progresses and introduce you to laser periodontal surgery, which makes your treatment a comfortable experience. Gum disease, or periodontal disease, occurs when gums have a bacterial infection. If the infection goes untreated, it damages the gum tissue and destroys the fibers and bones that hold teeth in your mouth. As a result, gum disease can lead to loss of teeth. Periodontal disease is usually caused by poor oral hygiene. The mouth is normally full of bacteria, which mix with sugar and starch to form a plaque that sticks to your teeth. If the plaque isn’t removed, it turns into a hard substance called tartar. When plaque and tartar aren’t removed, bacteria has plenty of time to cause inflammation and infection. 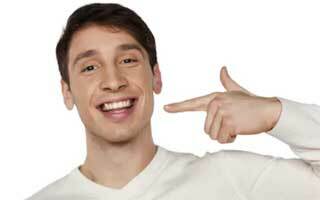 What dental problems are treated with periodontal surgery? When gum inflammation, or gingivitis, is caught early, it may be treated with a dental cleaning. In some cases, the dentist may prescribe an antibiotic to eliminate the infection. However, untreated gingivitis progresses to become periodontitis. In this condition, inflammation spreads around the tooth and under the gums, allowing bacteria and toxins to get into the bone. Periodontitis may be treated with nonsurgical procedures called scaling and root planing, which gets rid of all the plaque and tartar on the surface of the tooth and its root. But when periodontitis is more advanced because inflammation and damage to bone is too severe, then periodontal surgery is needed to save the tooth and surrounding structures. What types of periodontal surgery are performed? Dr. Brayman has extensive experience performing different types of traditional periodontal surgery. Some periodontal surgery is done in healthy gums, such as a gingivectomy to remove excess gum tissue, and a gingivoplasty to reshape gums. One of the most common procedures for treating periodontitis is called flap surgery. During this procedure, gum tissue is temporarily folded away from teeth to allow plaque, tartar, bacteria, and damaged tissue to be cleaned away from. A bone graft may also be performed to regenerate and strengthen damaged bone. Laser periodontal surgery has become so advanced that traditional methods often aren’t necessary. Laser therapy accomplishes the same goals — removing inflamed and damaged tissue — but it’s a more comfortable dental experience. 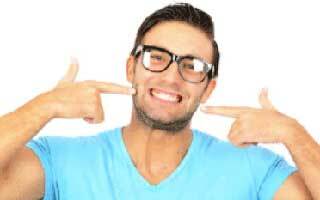 Dr. Brayman recommends laser periodontal surgery for patients with dental anxiety.